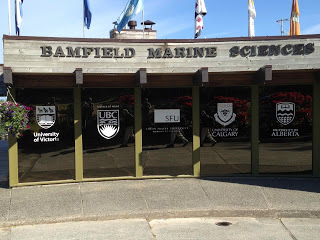 A few weeks ago I had a privilege to visit the remarkable Bamfield Marine Science Centre (BMSC). The research facility is own Universities of Alberta, British Columbia, Calgary, Simon Fraser, and Victoria. Even though Bamfield in not far from Victoria, getting there was not easy. We took the buss to Port Alberni where we stopped to change into a smaller one. It was about an hour ride on a rough logging road where there were a lot of potholes and large stone. It took us a bout 4.5 hours to get to Bamfield. The view from the station and its surroundings was amazing. We were surrounded by majestic green forest and rippling blue ocean. The air was also different, fresh and salty. One of my favorite part is to wake up in the morning and just hear the rustling of leaves and lapping of the wave. The weather was fairly nice for most of the time we were there, except one day..when we have to go out on a boat…it was raining and windy. 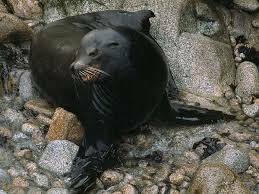 The ocean was rough. I am not a boat person and knew how things would turn out if I did not take Gravols. Despite the sleepiness I had from the pills , I really did enjoy the boat ride. We went out to the ocean to study the oceanography. One part of the ‘lab’ was to drag organisms into the tank on the boat and look at them. I saw a lot of sea stars, chitons, worm and sea cucumber. After we observed them for a little bit, it was time to release them back into the sea. I held/touched the sea cucumber for the fist time!! !With my bare hands too! I have to admit, it was nerve wrecking. On our way to the station, I managed to fall asleep. We also took some samples of the ocean to be used in the next activity. 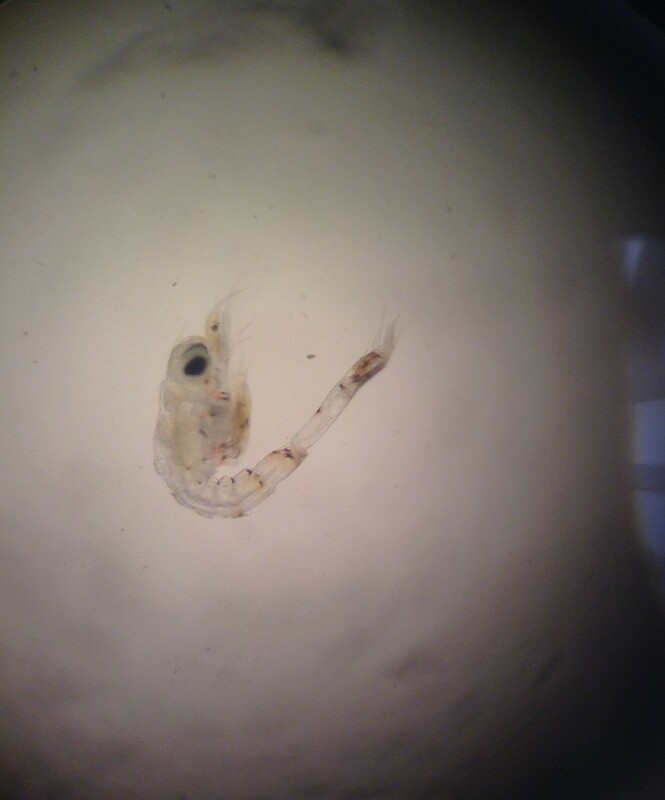 In that session we looked at marine zooplankton and phytoplankton under the microscope. It was not easy to identify what kind they were. One of my favourite lab was the seaweed lab where got to identify spices of seaweeds. 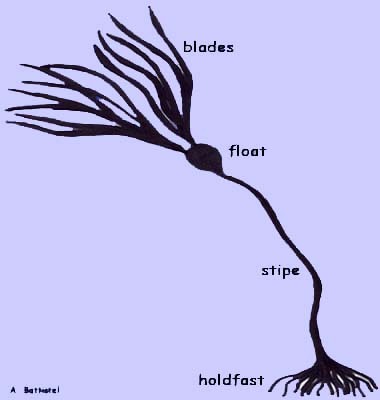 Seaweeds are composed of blades, floats, stripes and holdfasts. Blade – tough and leathery flattened structure that withstand wave actio. Holdfast – attaches the seaweed firmly to the substrate. Float – hollow or gass-filled structure that keeps the seaweed buoyant. 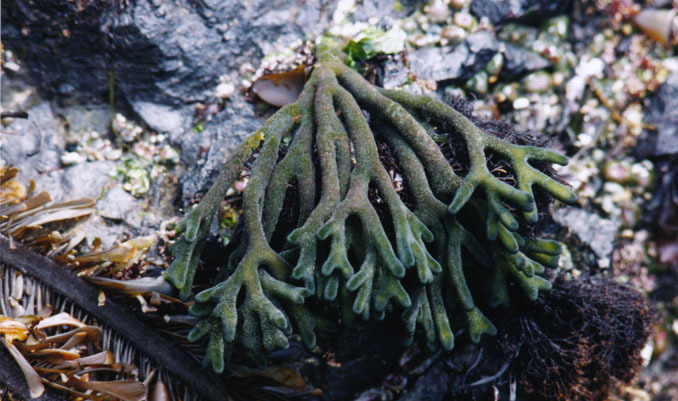 An example of seaweed that can be found near BMSC is the Codium fragile or Dead man’s fingers. The Codium fragile is a dark green and firm algae. It appears as a fuzzy path of tabular fingers. It grew in the low intertidal zone and subtidal on high-energy beaches.